BP won a legal reprieve in its effort to force the administrator of a settlement related to the 2010 Gulf of Mexico oil spill to tighten standards in assessing claims, potentially sparing the oil company billions of dollars of extra costs. A divided 5th U.S. Circuit Court of Appeals in New Orleans on Wednesday directed U.S. District Judge Carl Barbier, who in March had approved administrator Patrick Juneau's evaluation methods, to take a fresh look at which claims are legitimate. The 5th Circuit also directed Barbier to halt payments on those claims that don't meet stricter standards. BP (BP) had agreed in 2012 to make payments to cover economic losses arising from the spill. But it complained that Juneau's payout formula has been too generous, and compensates people and businesses that weren't harmed. That argument drew sympathy from Circuit Judge Edith Brown Clement, part of a 2-1 panel majority that sent the case back to Barbier, who also sits in New Orleans. "There is no need to secure peace with those with whom one is not at war," Clement wrote. "The district court had no authority to approve the settlement of a class that included members that had not sustained losses at all, or had sustained losses unrelated to the oil spill, as BP alleges," she added. "If the administrator is interpreting the settlement to include such claimants, the settlement is unlawful." BP originally projected that the settlement would cost $7.8 billion, but in July boosted its estimate to $9.6 billion. As of Wednesday, about $3.69 billion has been paid out, according to Juneau's claims website. The 5th Circuit said Barbier should issue a narrower injunction to allow recoveries by claimants with "actual injury" from the spill, and not punish BP and its shareholders by allowing potentially "hundreds of millions of dollars of unrecoverable awards." %VIRTUAL-article-sponsoredlinks%Stephen Herman, a lawyer for some claimants, said in an email after Wednesday's decision: "We're pleased that the vast majority of class members will continue to be paid in a timely and expeditious manner. We look forward to working with the claims administrator and the court to determine the best way to get the affected claims processed and paid as soon as possible." 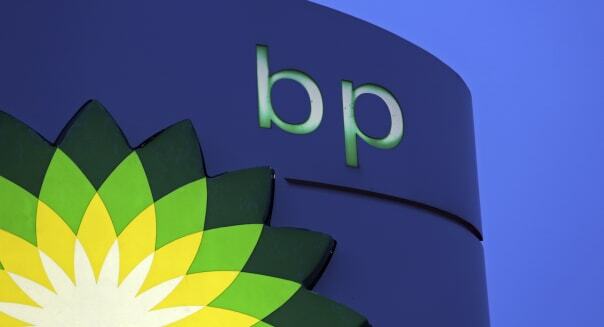 BP spokesman Geoff Morrell said the ruling affirms what BP has been saying since the beginning: claimants shouldn't be paid for fictitious or wholly non-existent losses. "BP is extremely pleased with today's ruling ... setting aside the claims administrator's interpretation of the business economic loss framework in the settlement agreement BP reached with the Plaintiffs' Steering Committee last year," Morrell said. The settlement was designed to compensate victims of the April 20, 2010 explosion of the Deepwater Horizon drilling rig and rupture of BP's Macondo oil well. The disaster killed 11 people and triggered the largest U.S. offshore oil spill. BP, which is based in London, has already incurred more than $42 billion of charges for clean-up costs, fines and compensation related to the spill. The 5th Circuit on Wednesday also upheld Barbier's dismissal of a BP lawsuit against Juneau. Meanwhile, the second phase of a trial before Barbier over the spill began on Sept. 30. It focuses on how much oil was spilled and BP's effort to control the flow. The case is BP Exploration & Production Inc. v. Deepwater Horizon Court-Supervised Settlement Program et al., 5th U.S. Circuit Court of Appeals, No. 13-30315.